Get ready to hear a host of compliments on this Henri Daussi gold and diamond ring. 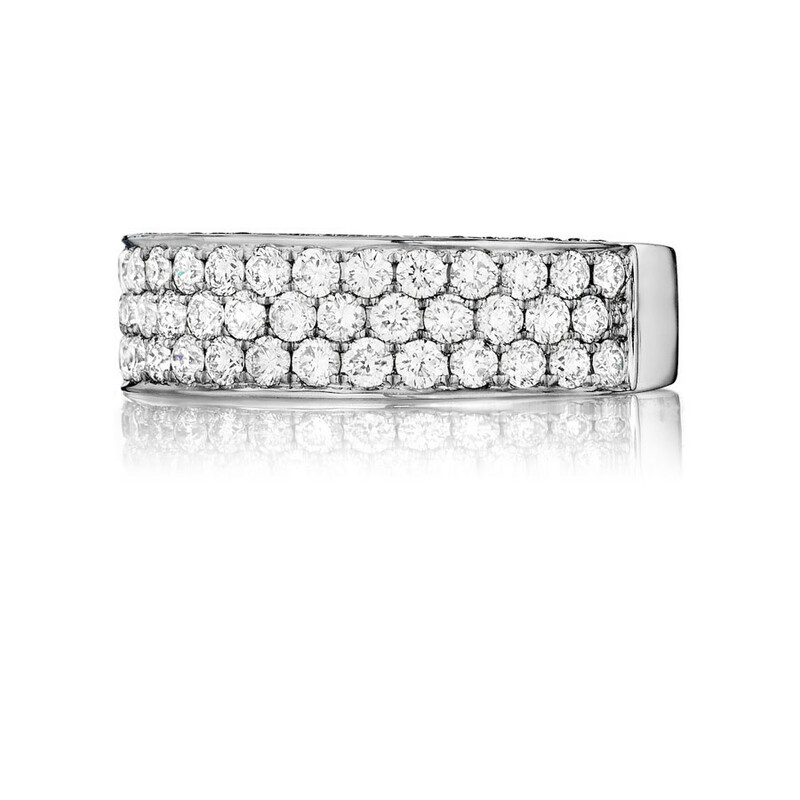 Crafted in 14K white gold, if features a triple row of round brilliant white diamonds bookended by a strip of gleaming precious metal. 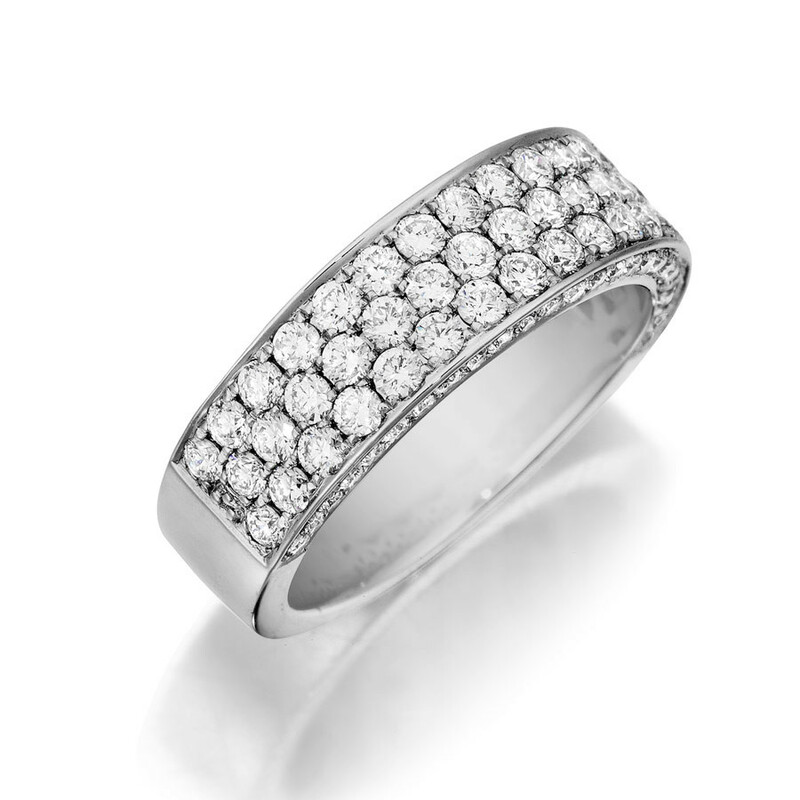 The band's profile is enhanced with diamonds, adding dazzle and drama. This Henri Daussi band is a comfortable and complementary piece of jewelry.